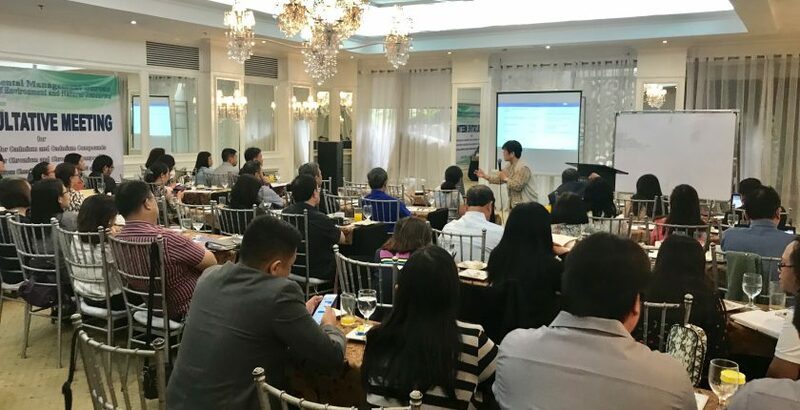 PCAPI attended the public consultation organized by the DENR- EMB on GHS of Dangerous Chemicals Listed in the IMDG Code and IATA Dangerous Goods Code and other upcoming Chemical Control Order (CCO) on Chromium VI and Chromium VI Compounds and Cadmium and Cadmium Compounds on March 5 and 6, 2019 at the Sulo Riviera Hotel in Quezon City. 625 chemical substances were identified to be covered in the 3rd phase of implementation of the GHS based on DAO 2015-09 of the EMB. These chemical substances were derived from the data of Bureau of Customs (BOC). From these 625 chemical substances, 170 were proposed to be included in the Priority Chemical List (PCL). This was presented by Ms. Teresita Corpuz which acted as the consultant for EMB. The draft policies on CCO on Chromium VI and Chromium VI Compounds and Cadmium and Cadmium Compounds were presented by Engr. Joel Maleon of the EMB. On March 6, 2019, EMB presented the draft policy on the issuance of PICCS Certificate. It must be noted that in 2014, EMB issued a memorandum circular (MC) 2014-001 stating that importers and manufacturers do not need to secure clearance from EMB for unregulated chemicals that are already listed in the PICCS and the instructions under Section 3 of EMB MC 2016-011 prohibiting EMB Regional Offices from issuing PICCS Certification, importers of chemicals continue to request for official confirmation from EMB for the same purpose. According to the draft policy, the rationale behind this regulation is that the volume of said requests had significantly increased following the issuance of BOC MC 2018-228 enforcing a more stringent customs verification procedure to all chemical importations for possible presence of controlled precursors and essential chemicals used to manufacture dangerous drugs. Thus, the EMB therefore deems the necessity to repeal the said prohibition, and thus, allowing the issuance of the PICCS Certificate in order to mainstream the validation process. PCAPI will be submitting its position paper relating to the chemical substances proposed for PCL and draft policies on PICCS Certificate.